Our 64 Oz. 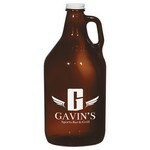 Amber Malt Growler features colored construction with neck handle and makes impressive Personalized Giveaways with your logo. The 64 Oz. 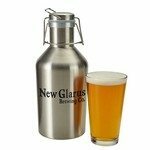 Stainless Steel Growler features tight-seal swing top lid and creates impressive Company Logo Products with your brand details. Our 64 Oz. 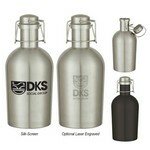 Insulated Stainless Steel Growler has wide mouth opening and FDA compliant are also factors that make them favorites of people quickly. Insert your company details to create impressive Custom Logo Products. 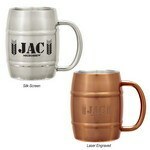 Recognize talent with the Custom Etched Copper Plated Tankard Mug, imprinted with your personalized logo in one location. Give recognition to those that deserve it most with the Custom Etched Silver Plated Linear Julep Cup, imprinted with your personalized logo in one location. The 8 Oz. 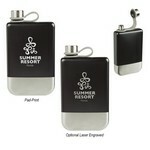 Maverick Flask features stainless steel inner and outer and makes interesting Giveaways with your logo. Shop custom branded 1.5oz Mason Shot Glass. These personalized custom shot glasses are ideal for gifting and for your next corporate company event. This 16 ounce glass Fill Up Cup will remind you of your favorite party cup - only in glass! This 16 ounce glass Fill Up Cup with Jet-Directt Full Color Imprint comes in the shape you your favorite party cup. 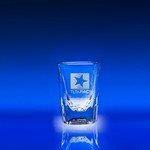 This Custom 2oz Fluted Shot Glass features a high-quality glass design with a single logo imprint. This Custom 30oz Exception Decanter features a high-quality glass design with a single logo imprint.